An article at Politico on Thursday indicated that bipartisan negotiations over the Farm Bill had stalled due to issues surrounding the nutrition title of the new measure. More specifically, the Politico article stated that, “Democrats are revolting to potential changes to the Supplemental Nutrition Assistance Program, or SNAP, still commonly known as food stamps.” Also on Thursday, USDA’s Economic Research Service (ERS) released a detailed annual report that explored fiscal year 2017 federal data related to USDA nutrition programs, including SNAP. 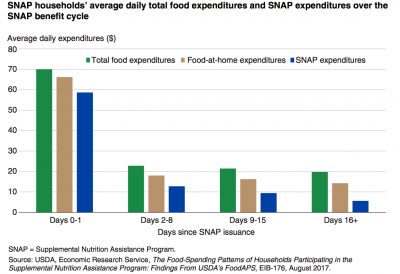 Today’s update looks at this ERS report in more detail, and also touches briefly on a SNAP related report released last week by the Center on Budget and Policy Priorities. Chairman @ConawayTX11 was just handed this letter by House Ag Dems urging him to show them the farm bill text. With this background on the current Farm Bill in mind, on Thursday, USDA’s Economic Research Service (ERS) released an annual report (“The Food Assistance Landscape: FY 2017 Annual Report,” by Victor Oliveira) which uses preliminary data from USDA’s Food and Nutrition Service to examine trends in U.S. food and nutrition assistance programs through fiscal 2017. 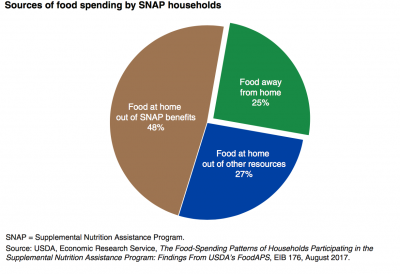 “USDA administers 15 domestic food and nutrition assistance programs. 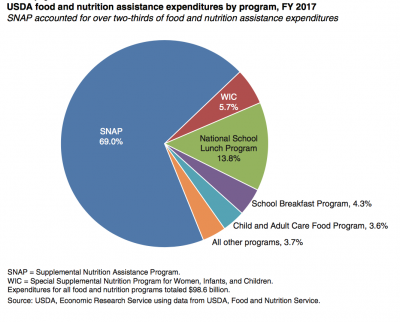 Together, these programs—which vary by size, type of benefits provided, and target population—form a nutritional safety net for millions of children and low-income adults. 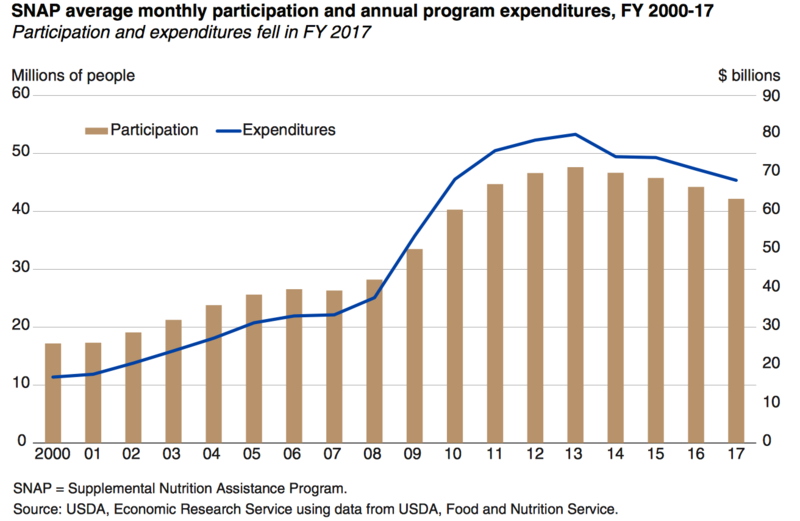 These programs represent a significant Federal investment, accounting for over two-thirds of USDA’s annual budget.” The Food Assistance Landscape FY 2017 Annual Report, EIB-190. 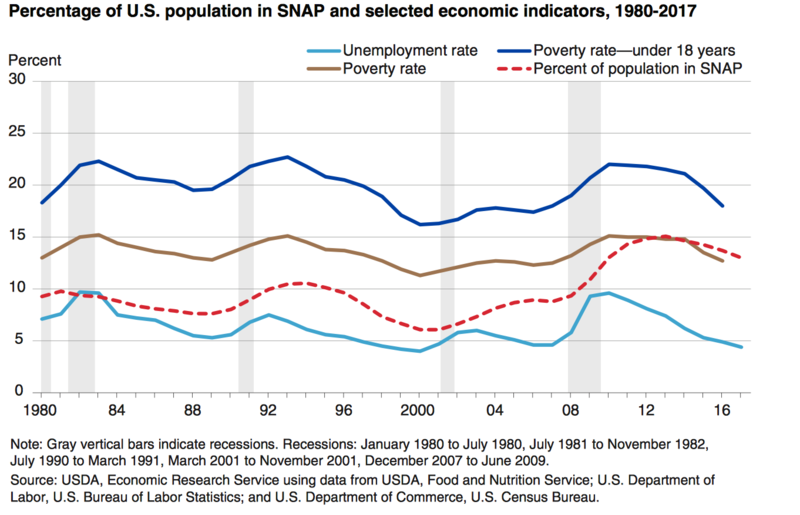 USDA, Economic Research Service (March 15, 2018). 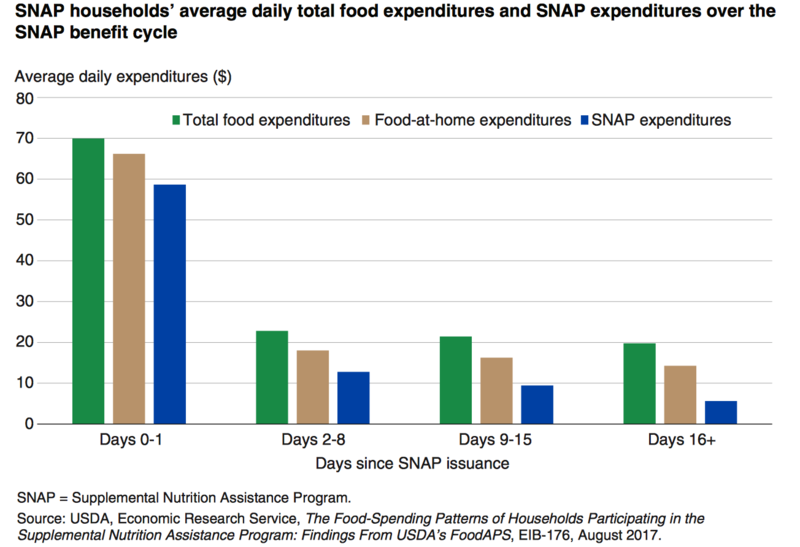 “The Supplemental Nutrition Assistance Program (SNAP) accounted for 69 percent of all Federal food and nutrition assistance spending in FY 2017. 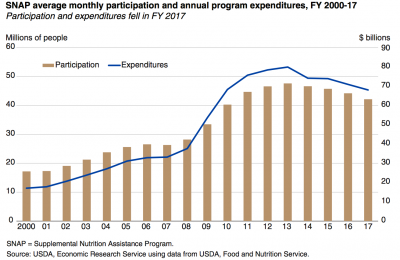 On average, 42.2 million persons per month participated in the program, almost 5 percent fewer than in the previous fiscal year. 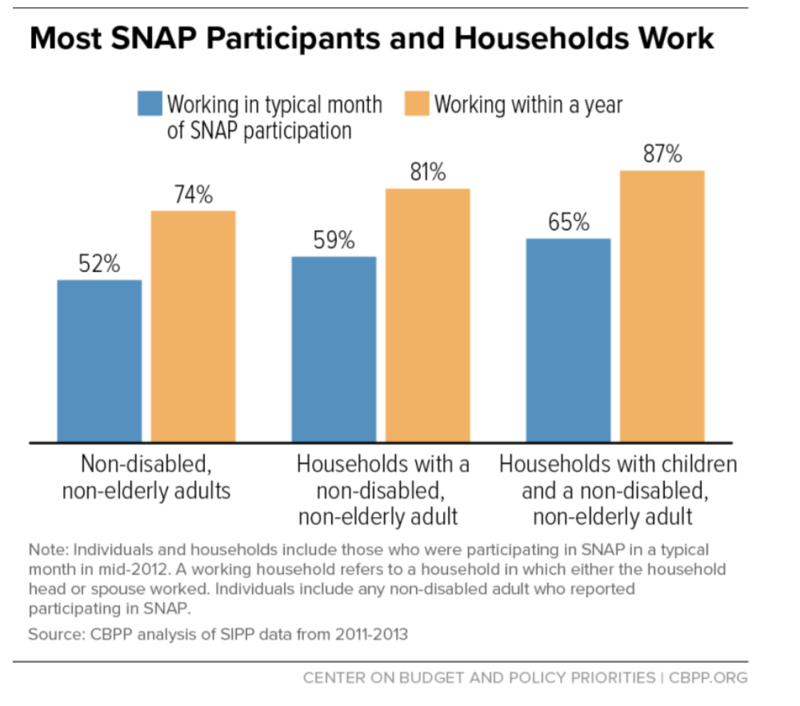 Reflecting the decrease in participation, Federal spending for SNAP totaled $68.0 billion, or 4 percent less than in the previous fiscal year. 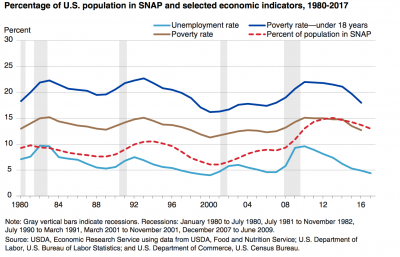 This was also 15 percent less than the historical high of $79.9 billion set in FY 2013. About 13 percent of the Nation’s population participated in the program in an average month. 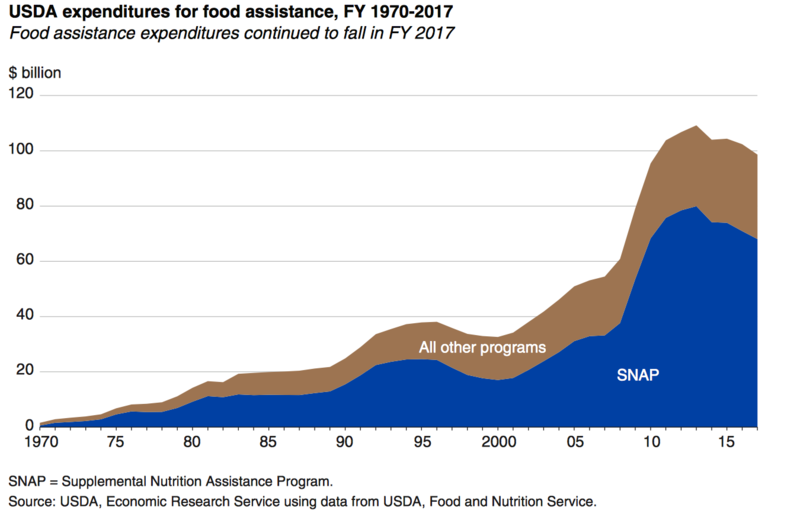 The Food Assistance Landscape FY 2017 Annual Report, EIB-190 . USDA, Economic Research Service (March 15, 2018). 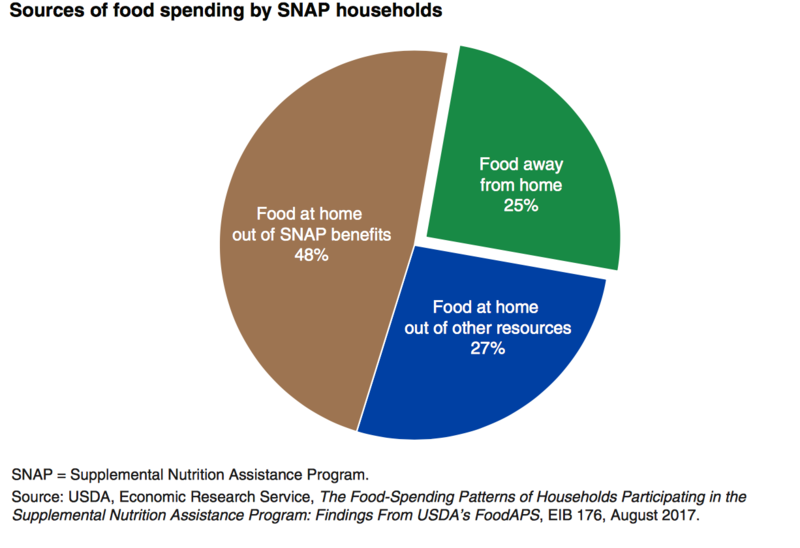 The ERS report indicated that, “The contribution of SNAP benefits to household food spending is substantial, almost two-thirds (63 percent) of food-at-home spending. 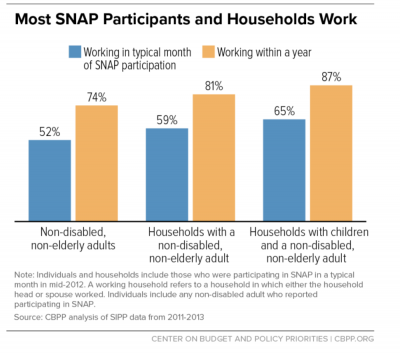 This demonstrates that SNAP benefits make a substantial contribution to the food spending of participant households, but that these households also use other resources (such as their own income or other cash assistance benefits) to pay for food. 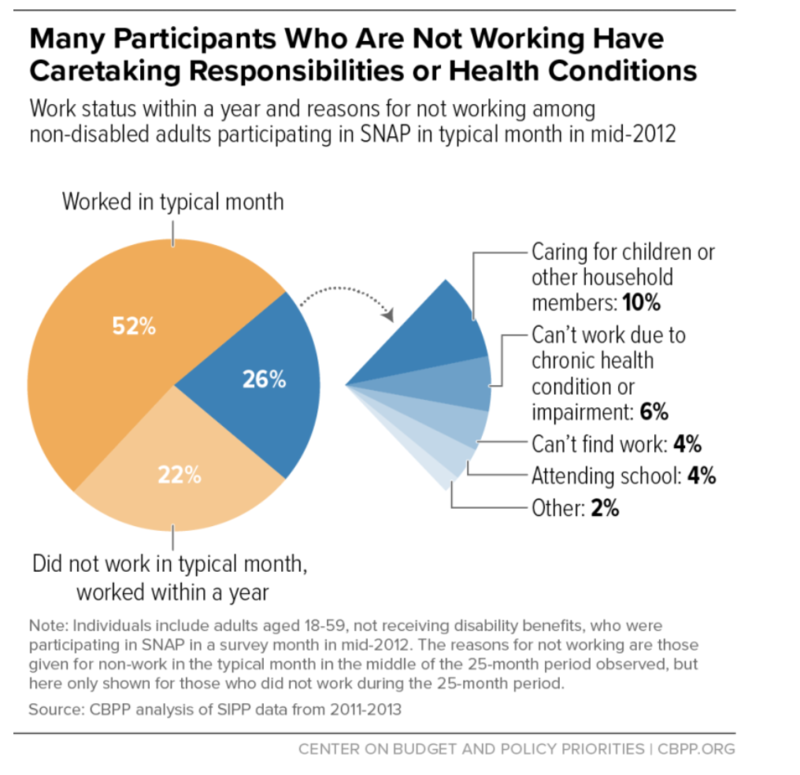 “Most Working-Age SNAP Participants Work, But Often in Unstable Jobs,” by Brynne Keith-Jennings and Raheem Chaudhry. Center on Budget and Policy Priorities (March 15, 2018).